so when we launched UFB in Auckland we did this http://www.geekzone.co.nz/forums.asp?forumid=158&topicid=153862, and got a great response, so we're repeating it again (slightly modified) for our Wellington launch. plans etc can be seen at www.bigpipe.co.nz - they are awesome, trust me. Switch to Bigpipe UFB (any UFB plan) before midnight on 20th May 2015 and, when you pay your first UFB monthly bill, we'll give you a $100 voucher of your choice. Choose from: JBHiFi, iTunes, Mighty Ape, or anything else we can reasonably acquire. Once you have been connected and paid your first bill, just PM me here with the email address you used to sign up and we'll take it from there. 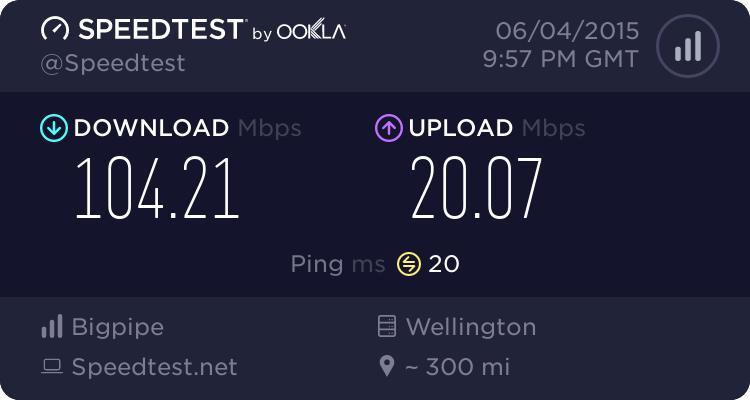 I'm a bigpipe vdsl customer in wgtn, is there a $50 fee to upgrade to ufb? That's awesome, looking forward to getting connected!! kiwijunglist: awesome! love u guys! no connection fee for existing customers upgrading their plans. When are you coming to Whanganui? Our UFB network is finished, the ribbon is being cut at 10am this morning. sweet i'm in, ill PM after it's confirmed I can get UFB. approximately how much am I expected to pay for a UFB capable modem or router. My current gear is Draytek Vigor 130 and Linksys EA3500. 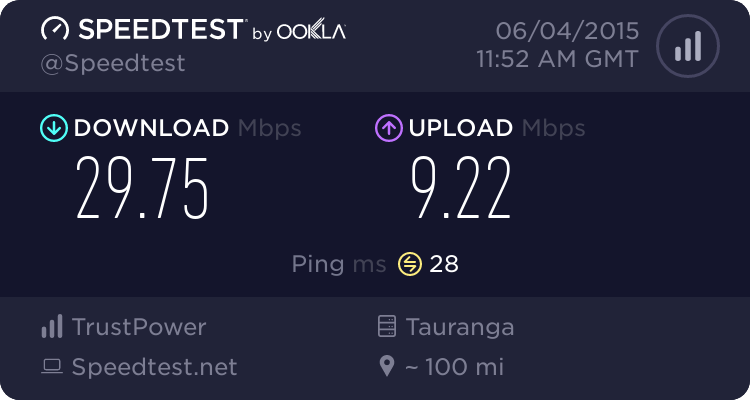 I assume my router wont be able to directly connect to the ufb connection? What's the recommended go to good value reasonable quality UFB router/modem that people recommend? kiwijunglist: sweet i'm in, ill PM after it's confirmed I can get UFB. You won't need your Draytek at all. Can a customer request a connection with VLAN tagging, so as to make use of the priority CIR component? Awesome guys, I have signed up and should be connected by June 6th if all goes well. Have been holding out for a few months now for Big Pipe to release in WGTN but this offer makes it worth it. I was just wondering, I emailed requesting upgrade from bigpipe vdsl -> ufb on 15.5 and I'm still waiting on them to confirm whether ufb is available here (1x database states yes, another database states no). Will I still get the voucher offer? yep, assuming you can get it and go through with the installation. Probably with following up with our team again so we can chivvy chorus along with checking. Great, that's very generous of you. Fingers crossed... Thank you. Just signed up, will message you on install day!